In 2018, we applied a Plant Growth Regulator (PGR) to Slender Wheatgrass grown for seed production. It was a look and see strip trial to determine if it should be researched further. Initial results look very promising and results are very similar to those found in other cereal grains. Full results will be released soon. Demonstration of Forage Corn Varieties – The objective is to demonstrate and evaluate new forage corn varieties to producers and provide iniformation about how they grow in Northeast Saskatchewan. Harvesting Oats and Barley as Yellowfeed – The project objective is to demonstrate the use of glyphosate to preserve standing oats and barley until it dries down enough to be cut for hay. 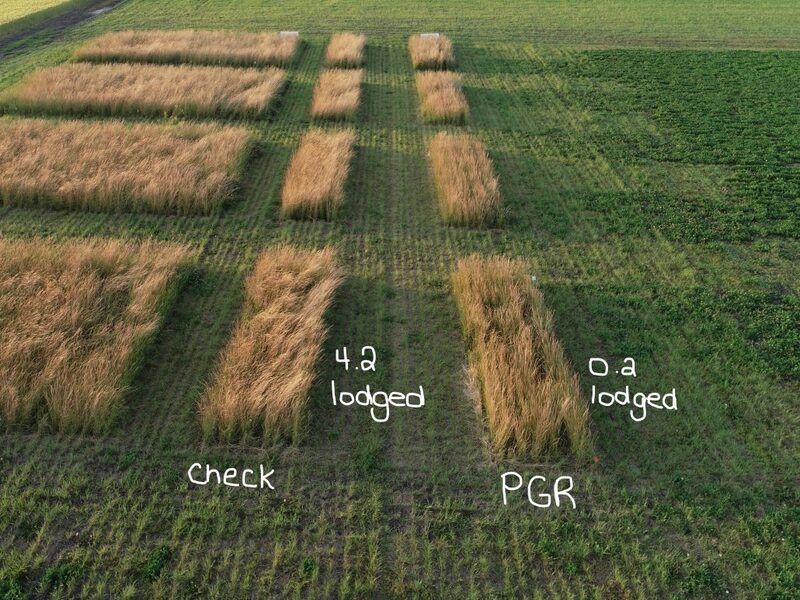 Demonstration of Triticale for Annual Forage Production – The purpose of this project is to showcase and demonstrate the differences in yield and maturity of triticale versus other commonly grown annual forage crops in Saskatchewan. Short Rotation Forages – The objective of this project is to determine the residual soil nitrogen from short rotation (2 year) legume hay crops that is available for use by subsequent cereal and oilseed crops. Demonstration of Perennial Forage Crops – The objective of this project is to demonstrate new and existing forage crop species and varieties available for use in Saskatchewan. Seed Production with Cool Season Forage Grasses – The objective is to evaluate seed production of several cool season forage grasses for use iin reclamation plantings with a view to encouraging forage seed growers to begin growing them.